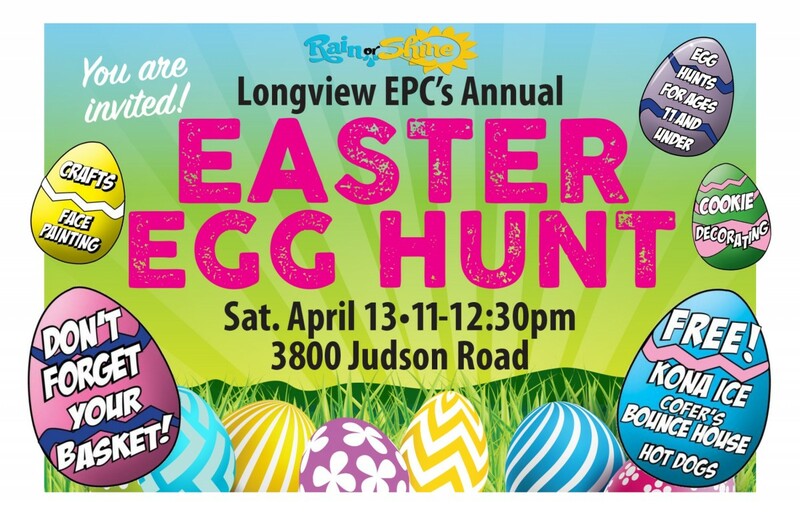 Sign up for Easter Egg Hunt Volunteer. Contact Carrie Northcutt to Register for the Spring session of KidMin-Dig In! Join us for a light supper before we DIG IN to the Bible! Digging into the Bible takes kids on a whirlwind journey from Genesis to Revelation as they experience a relationship with God through the eyes of ordinary Bible people. Through large and small group lessons, activities and games kids will discover they're a lot like the people through whom God has always loved and worked. Immediately following Sunday morning worship children gather in both large and small groups to learn what it means to worship Jesus Christ our risen Savior and Lord. Through Scripture memory, song, reading/hearing of the Word, and confession of faith children will grow in knowledge of each element of worship and how it draws us deeper into a truly personal relationship with our truly personal God. Toddlers 2's & 3's—Play-n-Worship—Room 2—Our toddlers will sing, create, and play as they learn many gospel truths! Infants & Babies birth-24 months—Room 1—Your little ones will be covered in gospel truths through singing and interactive play. 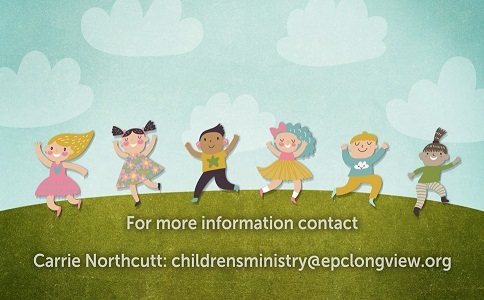 OUR CHILDREN'S MINISTRY NEEDS YOU! Would you be willing to serve the children and parents of our faith family? Grab a friend and help us fill in the gaps. Suggested favorites: Pizza, Chick Fil A, Chicken Express, Hamburgers, Hotdogs, Tacos/Cheese Quesadillas, Nachos, Frito Chili Pie. See VBS 2018 pictures in our Photo Gallery. All leaders are required to complete and pass this background check (click here).